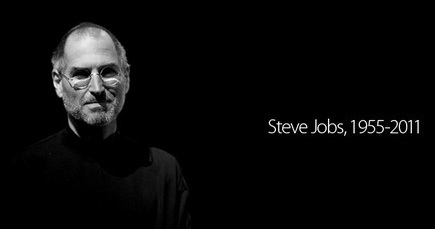 Steven P. Jobs passed away on October 5th, 2011 after a long struggle with pancreatic cancer. He was just 56 years old. We mourn his passing, and wish his family the very best. The Apple chairman and former CEO who made personal computers, smartphones, tablets, and digital animation mass-market products passed away today. We're going to miss him. Deeply, and personally. In 1976 he started Apple in a garage. Together with Steve Wozniak, he shipped the first true fully-built personal computer, the Apple I. He drove development of the Mac, understanding that it was the future of computers. The great thing that we would all see. He brought in a grown up to run the company. And that grown up forced him out of the company that he built and into the wilderness. Prior to Steve Jobs, computers were alien to most of us. They were accessible to few people without an engineering degree. Not merely because of their complex operating procedures, but also because they were so cold and so inhuman. Jobs understood that they could be something more than that. That while computers would never be people, he could endow them with humanity. He could transform them into machines that not only anyone could use, but that everyday people would enjoy using thanks to the art of great design. He made them something that would be part of our lives. And he did that again and again. He changed the way movies are made, the way music is sold, the way stories are told, the very way we interact with the world around us. He helped us work, and gave us new ways to play. He was a myth made man. Apple has lost a visionary and creative genius, and the world has lost an amazing human being. Steve leaves behind a company that only he could build, and his spirit will forever be the foundation of Apple.